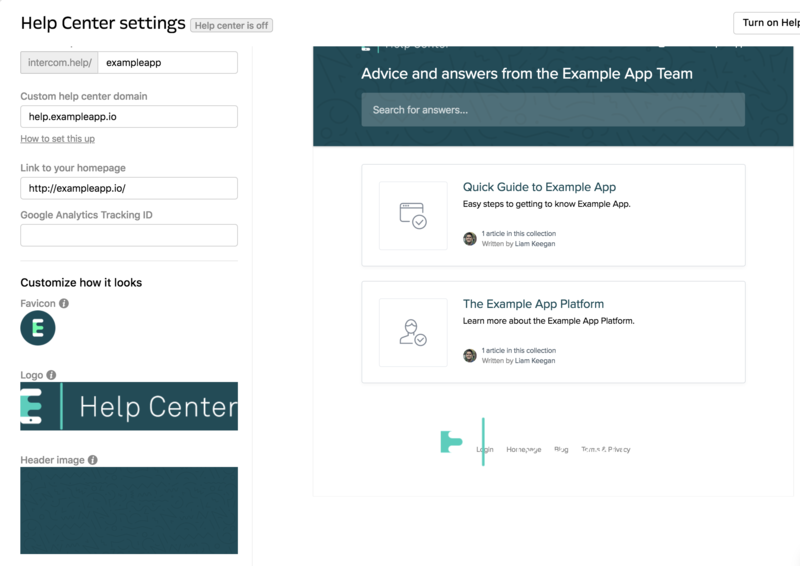 In your Help Center Settings you’ll see lots of customization options to help you decide exactly how your Help Center should appear for your customers. 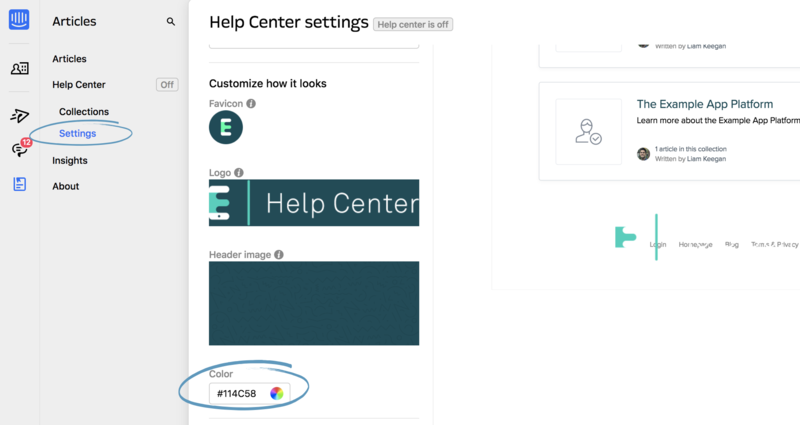 Here’s how to choose a color for your Help Center, add your own logo and header image, customize your Help Center domain and more. It’s easy to change the color of your Help Center to suit your brand. Just visit your Help Center Settings and enter your primary color’s hex value. Collection names on your homepage. Your header color (we recommend that you replace this with a custom header image). 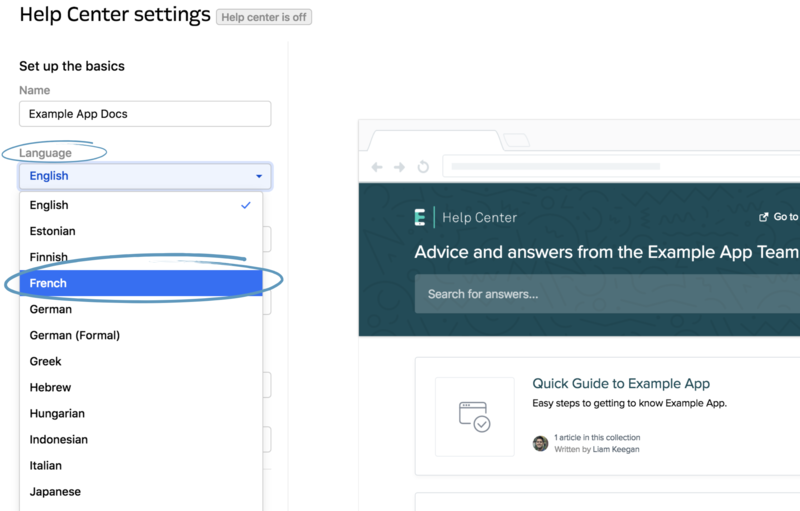 Your Help Center’s name appears as the title on your customer’s browser tab, so keep it simple. Something like ‘<your company name> Help Center’ works well. Upload a high-resolution favicon. This appears before the title on your customers’ browser tab. Recommended ratio: 1:1. 150KB max, 588x588 maximum. Add a header image. This appears at the top of your homepage and on each page of your Help Center - so add a strong image that represents your brand. Recommended ratio: 5:2. 2MB max, 3000px maximum width/height. Upload a high-resolution version of your logo. This shows on the left-hand side of your header image. Recommended ratio: 5:1. 1MB max, 720px maximum width/height. You can add links to your website and social media channels in the footer of your Help Center. Just add the URLs you'd like to link to and they'll appear in the footer. If you add social media links, they'll appear as clickable icons. Search prompt on your homepage. Article count, author and last modified date. Reactions prompt on your articles. ‘We run on Intercom’ logo and more. The language you choose won’t translate your content (e.g. your articles, article descriptions and collection descriptions). If you’d like to change the language of the Messenger, you need to do this separately in your ‘Messenger Settings’. 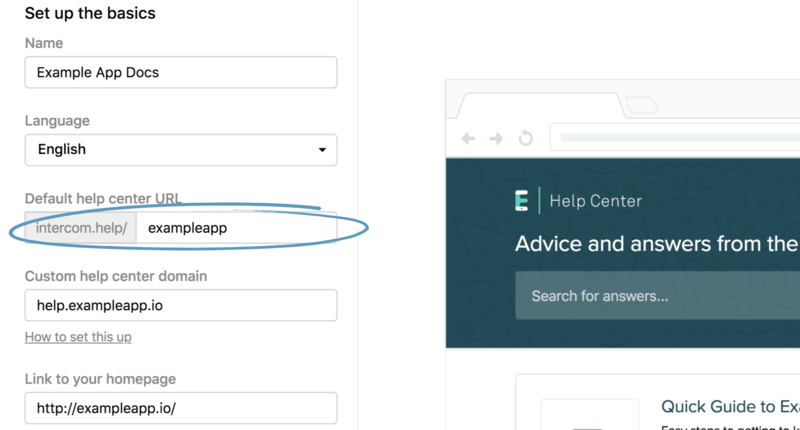 When you turn on your Help Center, we make your content available through an Intercom domain by default. So, first just turn your Help Center on. Note: You can edit the app name part of your URL (e.g. exampleapp) to whatever you like. Next, go to your DNS provider (e.g. GoDaddy, Cloudflare, DNSimple or Route53, etc.) 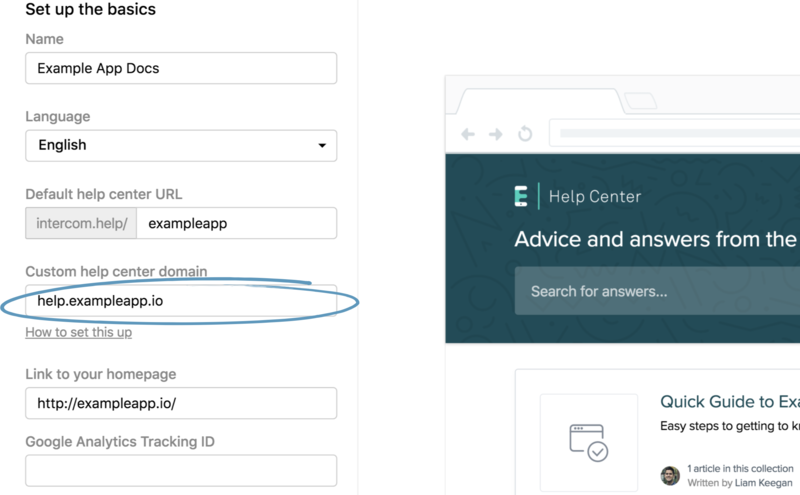 and create a CNAME record with a target host of custom.intercom.help. We’ve created this guide to help you or your engineer set this up. Important: DNS changes can take up to 72 hours to take effect but they typically happen much faster. 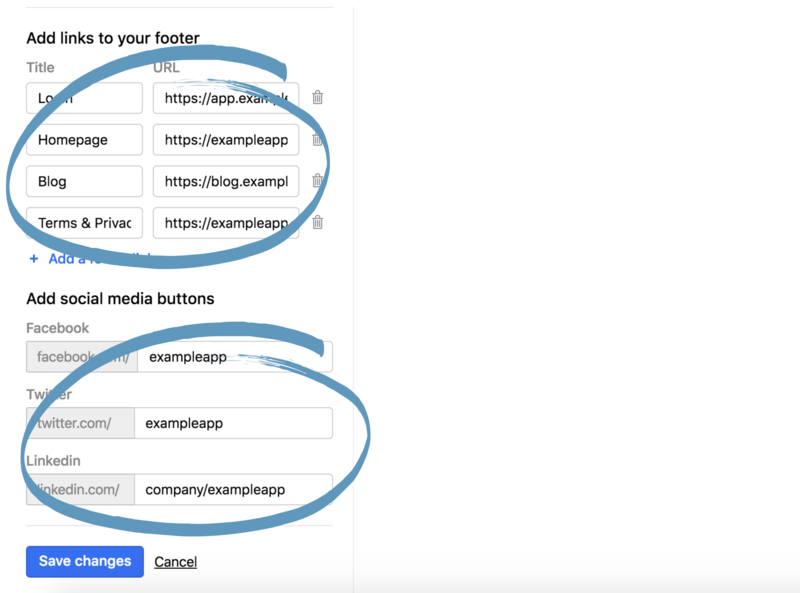 Now that you have your Help Center up and running, it’s time to start organizing your articles into useful collections to help customers find the content they need.